Carolyn Grace Maddox, 83, of Kansas City, MO, passed away April 8, 2018 at Tiffany Springs Rehabilitation and Health Care Center in Kansas City, Missouri. Carolyn was born in Hannibal, MO on November 9, 1934, a daughter of Richard Valentine and Josephine Mae Dunbar Shackelford. She married Jack Ward Maddox and he preceded her in death. They were the parents of six daughters. Mrs. Maddox was a professional dog groomer and enjoyed her profession very much, passing her talent on to other generations of her family. Her family remembers her as a “Jill of all Trades” including gardening, dairy farming, creating an elaborate operation milking cows and goats, and caring for horses and various other creatures who easily tugged on her heartstrings. She could (and would) outbid anyone at local farm auctions, but she also enjoyed chatting with farmers and other hard-working people. She accomplished anything and everything she set her mind to. She was also a grooming instructor and will always be remembered as a home-cooking extraordinaire. 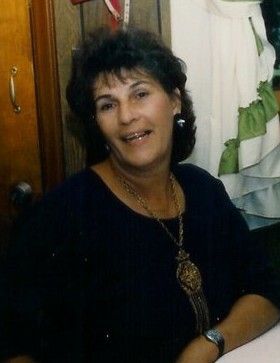 She is lovingly remembered by six daughters and sons-in law, Teri and Larry Aalders, Sheri and David Skaggs, Joni Gibson and Mike Dennis, Conni and John Olvera, Margi and Kevin Scott and Jacki and Dan Edwards; a sister, Garland Carter; a brother and best-friend sister-in-law Richard and Marguerite Shackelford; thirteen grandchildren, Mathew Thomason, Cari Thomason, James Garner, Chris Garner, Kodi Maddox, Dustin Maddox, Dani Maddox, Joseph Olvera, Jacob Olvera, Devan Ogle, Jayde Ogle, Josephine Edwards and Samuel Edwards. Also cherishing her memory are four great-grandchildren, Grace Thomason, Brooke Thomason, Payton Cossette and Harper Jones, and a sister-in-law, Ardella Maddox and many nieces and nephews. In addition to her parents and former husband, she was preceded in death by a sister, Sandra Varnum. Memorial services celebrating Carolyn’s life will be held on Sunday, April 22nd at 2:00 pm at Souder Family Funeral Home, 1333 NE Barry Rd., Kansas City, MO. The family will begin to receive friends one hour prior to the service at 1:00. Memorial contributions, if so desired, are suggested in Carolyn’s name to The Rescue Project P.O. Box 25844 Overland Park, Kansas 66225. Arrangements entrusted to Markland-Yager Funeral Home in New Franklin, Missouri with the kind assistance of Souder Family Funeral Home in Kansas City, Missouri.